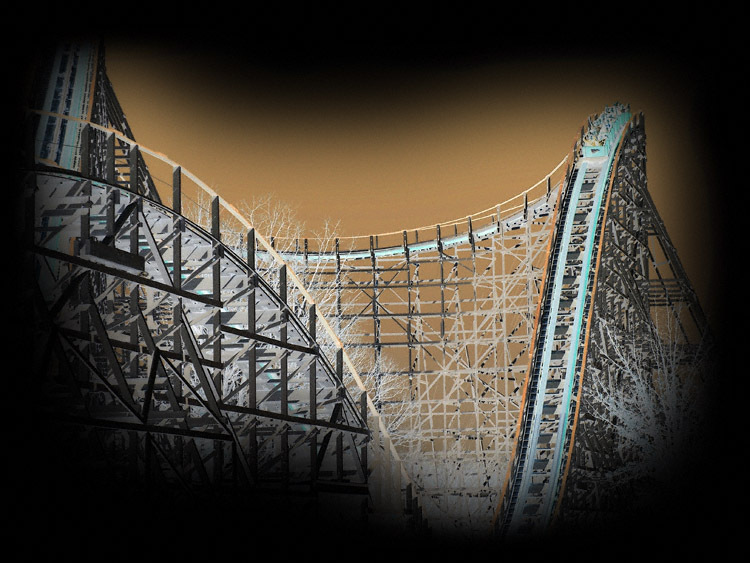 For whatever reason whenever I'm on a trip across the country from park to park I always keep my eyes open because I'm sure there has to be someone out there that has decided to build their very own coaster. Well I was informed by another enthusiast about this home made coaster about a hour and a half from my home so I took an afternoon and headed up to check it out. This is what you see from the road, this is the Blue Flash! 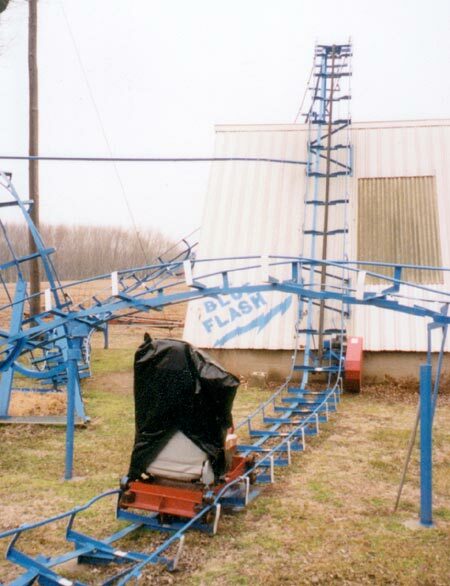 The Blue Flash was built by John Ivers over a year for the fun of it. 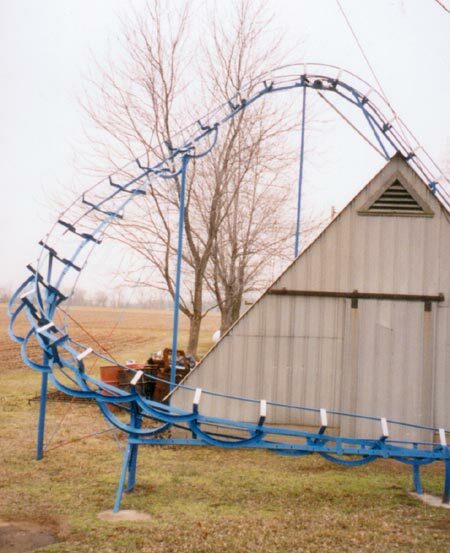 Here is the car and the lift hill that goes over their shed. 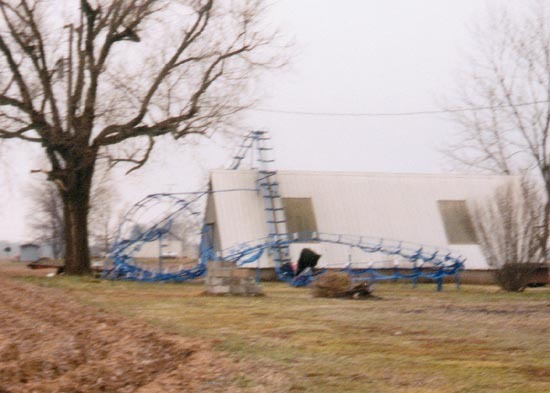 The Blue Flash's first drop is very reminiscent of the drop on the Shockwave at Six Flags Great America. From talking to John he told me that it took him a year of trial and error to design and build the Blue Flash.